HVAC agglomerates are particle clusters that are formed in the HVAC sytem. There are two basic sources for these particles. One is the filter medium where the particles are agglomerated on the surface of the filter. These particles are knocked loose during filter change-out or if a hole is created in the filter. The other source is the slow accumulation of particles on the wall of the HVAC duct. These particles start typically as diffusional deposits. As they first accumulate on the wall they create an isolated stactic charge. 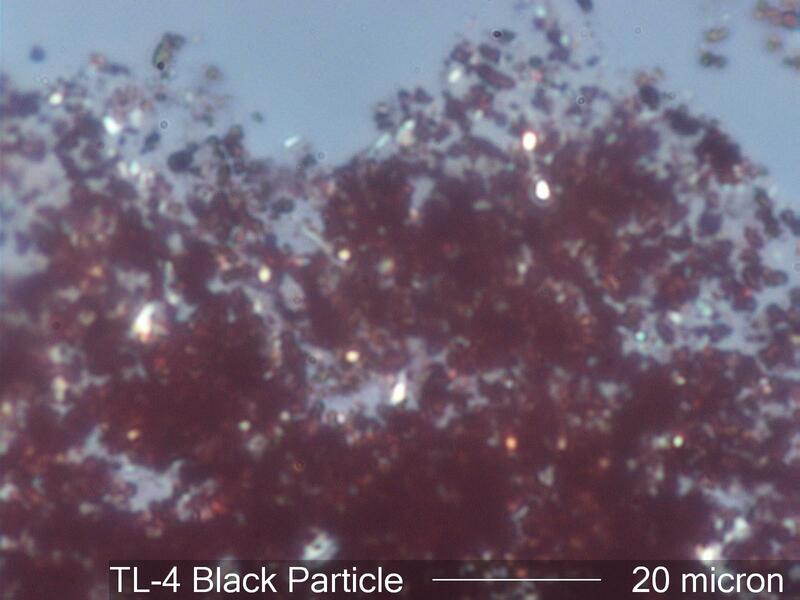 This attracts more particles and the agglomerate begins to grow. It continues to grow until its mass is sufficient that vibration in the duct jars the agglomerate free and it becomes part of the air stream. These agglomerates are generally dominated by soot particles and are quite dark in appearance. At times they may be dominated by a local activity, such as remodeling, and take on a different appearance. Agglomerates That form in the recycle loop of the HVAC system will include skin flakes and typical indoor particles rather than the pollens, fine minerals, insect parts, tire wear, etc. associated with the fresh air supply duct. These particles can be knocked loose by cycling the HVAC system, changing filters, vibration in the HVAC system, or activities that result in jaring any part of the ductwork. Over time all ventilation systems will begin releasing these particles. The time may be measured in many years with well filtered systems, or a few years for poorly filtered systems. These agglomerated particles tend to be dominated by paticles from outside if they are from the make-up air part of the system. The particles are typically less than 15 micrometers in aerodynamic diameter. This is because the particles have been air-classified. Buildings that are large enough to require an air handling system are near roads. Tire wear, vehicle emissions, and road dust, are a significant part of the particle challenge to the system. The biological component includes pollens, spores, plant parts, insect parts, and plant and insect fibers and hairs. If a significant amount of the air is recycled then skin flakes, clothing fiber, paper fiber, starch, cosmetics, etc. would be included in the particle.